Why do people love pineapples so much? For one, it’s such a funny fruit to look at AND it’s delicious! The smell of a ripe pineapple is sweet and tropical, and the taste is even better. But why has it become such a mainstay when it comes to decor? Maybe it’s the combination of colors: A green top, and a yellowy orange base with little areas of brown. Or what about the shape, with a pattern of diamonds across the husk and a top that looks like a mini-bromeliad? Perhaps it’s just how unique pineapples are when compared to simple-shaped fruits like apples, pears, and oranges. 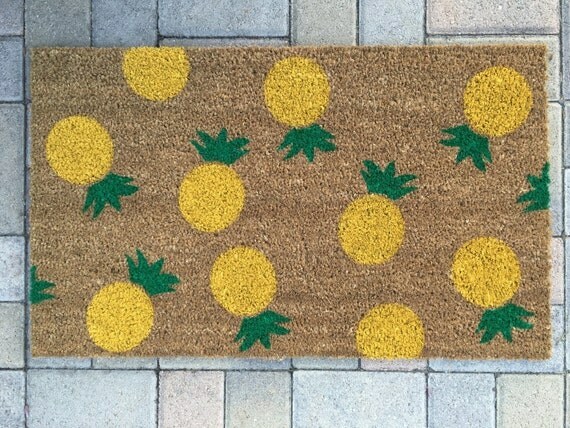 Whatever the case, pineapple home decor is here to stay! Here are my top ten pineapple decor ideas! 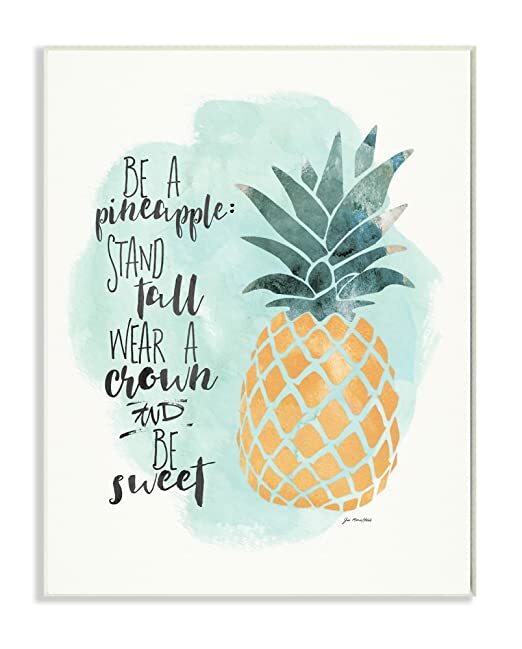 A cute mantra for anyone to live their life by: “Be a pineapple: stand tall, wear a crown, and be sweet”! 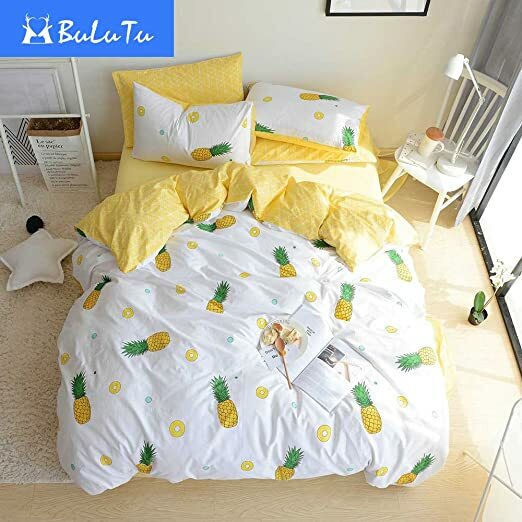 Adorned with pineapples and pineapple rings, this bedding set looks so sweet! I love that the other side is a yellow geometric pattern, and it just brightens everything up. Welcome visitors to your home with pineapples! Or is it for welcoming pineapples to your home? Either way is cool. This is just too cute! Great for booklovers! 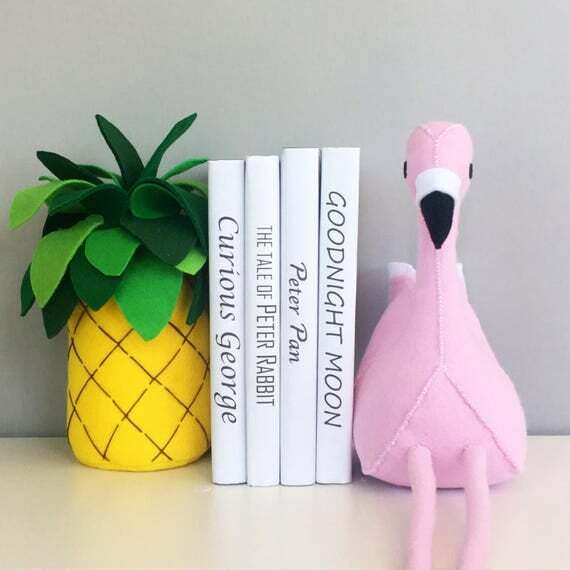 A pineapple plushie would be great on your bed, sofa, or chair…Spin a Yarn Crochet even has a keychain version if you want a smaller pineapple! 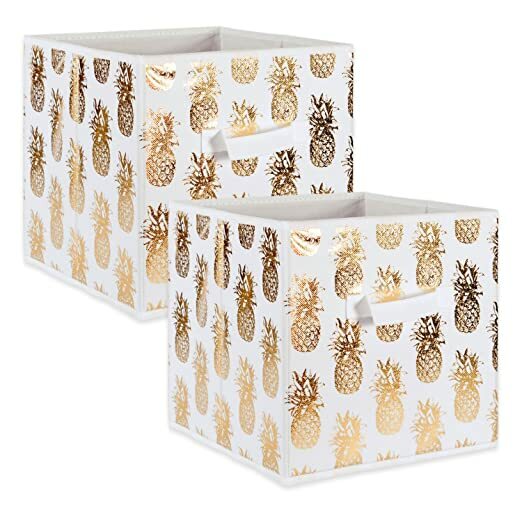 The gold foil effect on these will definitely add some tropical bling to your cube organization game. 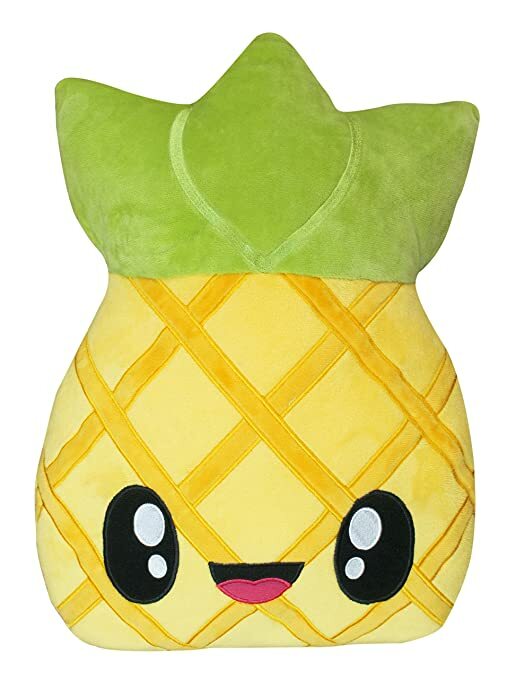 THERE IS A SCENTED PINEAPPLE PILLOW. AND IT’S KAWAII AF. Look at those eyes! This is great for displaying an air plant to show off as the bromeliad top! More sizes and colors available. 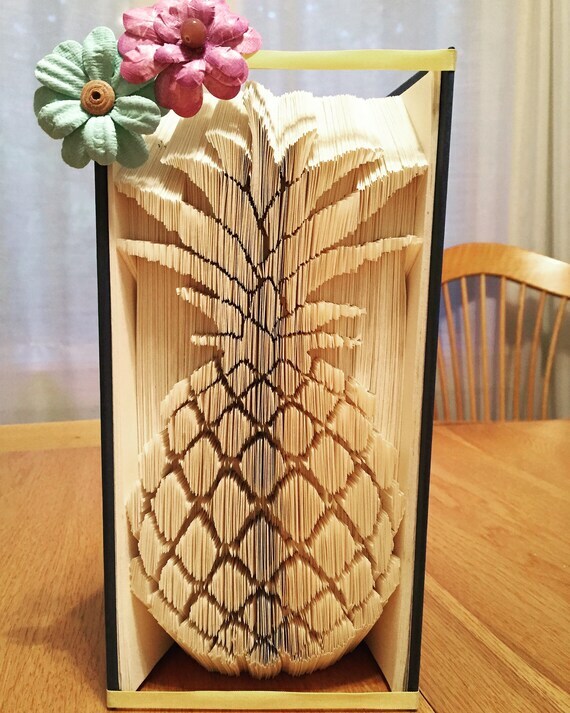 Look bookish and pineappley with this carved pineapple book! 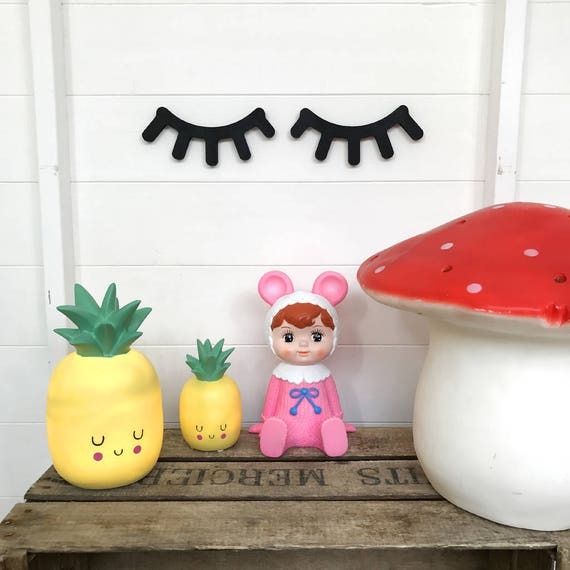 Adorable pineapple night lights to keep your little ones safe from the dark! Aside from filling your home with fresh pineapples, these are my top ten ways of adding more pineapple-themed decor to your house! Let us know in the comments which is your favorite!